Battlefield 1 leads the pack this month, helping deliver a rosy result for the US games market. Total spend up 6%, largely thanks to 36% increase in software sales. Console and PC software both up year-on-year. Hardware and accessories down year-on-year. Battlefield 1 topped software charts. Xbox One was best-selling hardware. Battlefield 1 was the best-selling game in the US last month, according to the October NPD report, contributing to a 36% year-on-year increase in software sales for the month. 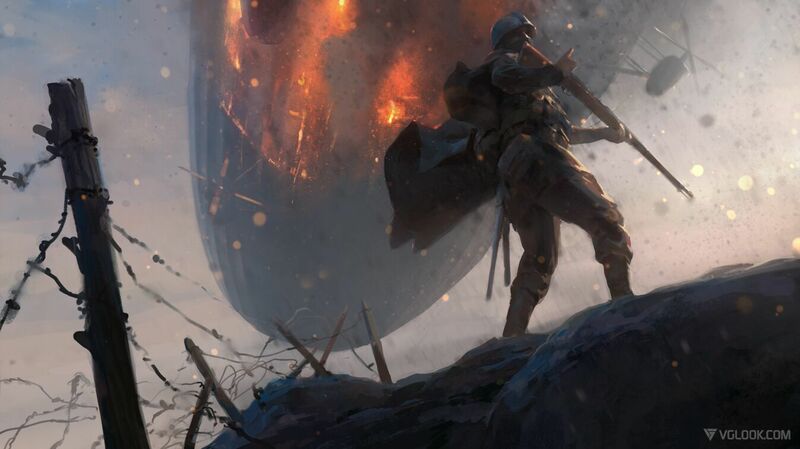 Battlefield 1’s chart-topping performance didn’t include PC digital sales, so it’s likely done even better than the NPD believes. NPD analyst Sam Naji name-dropped Battlefield 1, Mafia 3 and Gears of War 4, saying popular titles like these “helped to increase software spending by one-third” to offset declines in other categories. This is a really nice reversal of fortunes as we had declines in software sales in June, July and September this year, with only August’s sports game bonanza interrupting the trend till now. Although Battlefield 1 topped the charts you shouldn’t overlook Gears of War 4 in third; the NPD’s figures for Gears of War 4 don’t include any digital sales at all. It may not strictly be a platform exclusive, but any time a game skips over either PS4 or Xbox One and still charts highly, it’s a big deal. Check the full software chart below. As previously reported, the Xbox One was the best-selling console in the US in October 2016, bring it to a consecutive four months in the top slot. Gears of War 4, the new Xbox One S and the lingering effects of price cuts on older models are the likely drivers of this success. The true test for the platform’s continued triumph is the launch of Sony’s PS4 Pro launching earlier this month; the November NPD may bring an end to Microsoft’s streak. The NPD said that Xbox’s unit sales grew by 8% year-on-year, but that Microsoft’s not necessarily making a wad of cash from it due to a 17% decline in the average price of Xbox hardware thanks to a new 500GB Xbox One S Minecraft bundle (which, incidentally, is probably why Minecraft has fallen out of the software charts). Although Xbox topped, oOther platforms are also enjoying a good month despite an overall 20% year-on-year decline in hardware sales, which the NPD attributes more to lower prices than falling unit sales. For example, while the PS4 didn’t top overall, Sony’s 500GB PS4 Slim Uncharted 4: A Thief’s End bundle was the top-selling individual hardware SKU, accounting for a whopping 17% of all hardware unit sales. The 3DS logged its fifth consecutive month of year-on-year growth, with unit and dollar sales both up 12% despite no change in average pricing. The Pokemon effect, no doubt, and likely to be even more impressive in next month’s report, which will include Pokemon Sun & Moon. Total industry spend for October 2016 came in at $875.7 million, up 6% year-on-year from $827.7 million. Console software grew 31% year-on-year to $505.7 million. PC software grew 172% year-on-year to $33.8 million. Hardware fell 20% year-on-year to $215.2 million. Accessories fell 24% year-on-year to $121 million, probably due to Disney Infinity bowing out and Nintendo putting the brakes on Amiibo. Just as a reminder, the NPD’s monthly reports track new sales in the US only, so this data doesn’t include revenue from used games, rentals, DLC, subscriptions and microtransactions. Although it does track some digital sales, it has gaps including Origin, Microsoft and Bethesda’s digital sales data.